Today... nonstop rain. All this week, rain. 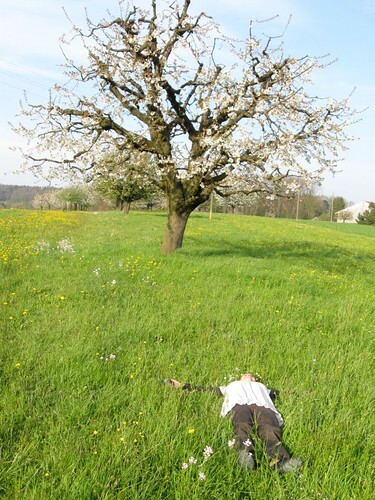 I'm so glad we weren't counting on today to do anything special. In fact, we had a pretty awesome celebration last weekend. One of our dearest friends was in town, along with her baby, and the glory of May was already here. 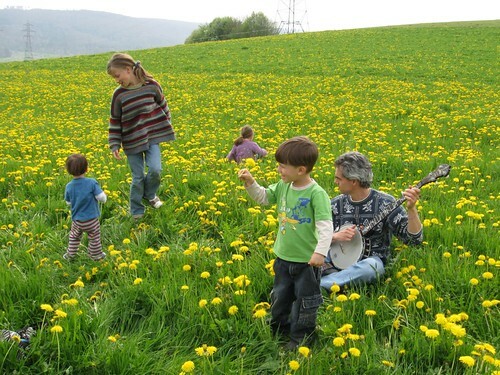 The fields were bursting with dandelions, laughing children, and song. 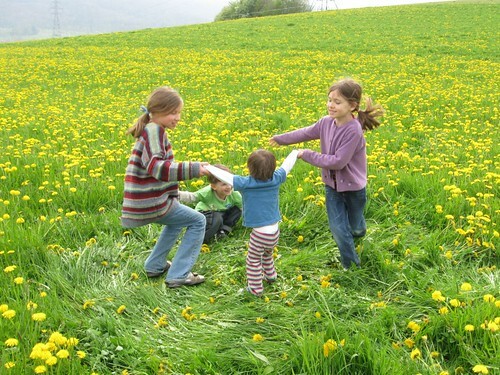 We made daisy chain garlands and dandelion garlands, picnicked in the yard, made a visit to the Goetheanum and castle ruins, and picnicked again by the river. It was a gorgeous and soul-filling weekend, ending with a trip to the Black Forest where we hugged our goodbyes. There's nothing like surprise visits from an old friend, laughing late into the night, and for the first time seeing her features reflected in the shining face of her child. It was a weekend we'll treasure for a long, long time. wow!! 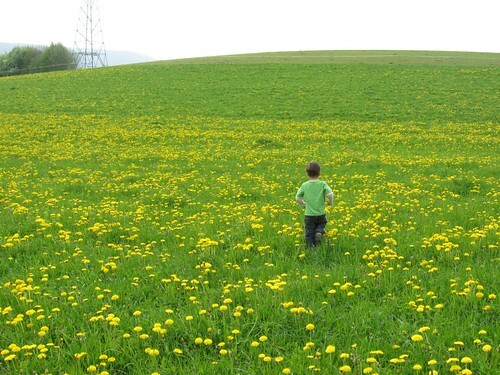 sounds like a magical weekend...from the dazzling number of dandelions, to the goetheanum (jealous! ), to the reunion with an old friend...just delightful. I haven't tried it, but I know of several people who have and loved it. Ooh, thanks for the link, Eva. We'll definitely have to give that a try! Dandelion syrup sounds like a neat recipe, but I wonder (like with violet jelly) whether the dandelion imparts anything of importance (maybe vitamins?) because it seems like one could just mix sugar and lemon juice and water and achieve the same result. Guess I'm off to do some Googling! Glad you had a lovely time with a dear friend! You are very welcome. Let me know how the recipe works out for you! Oh my! Is that Kitty Bill?? So adorable! 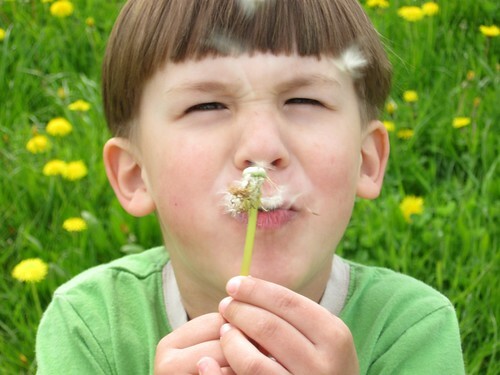 That dandelion puff pic couldn't be cuter! Your girls are beautiful, too!